Every country has a couple of weird traditions that its people adhere to, needless to say, are often viewed as seemingly weird, crazy or even mad by other people who are not actually residents of the country. Some of the traditions are specifically done during holidays and some other are just traditions people go through at some point in their lives. However, those who care to look a little bit closer for the meaning behind traditions will eventually come to appreciate them, in spite of their strangeness. Several wonderful countries in the world are famous for their weird practices and traditions. One of them is Russia. Some parts of Russian tradition and culture are nothing but baffling. Some strange customs are just stranger than others. Foreigners often found them absurd, but natives believe that their traditions allow them to learn essential values and lessons in life such as Russian wedding, Epiphany celebration, et cetera. I have gathered 8 weird traditions in Russia that will cause foreigners. Tell me if you know other countries that practice the same or similar things. Happy reading! Do you know that the consumption of alcohol in Russia is amongst the highest in the world? Now, you do. However, contrary to popular belief, Russians are not alcoholics. They do not drink just for the sake of drinking. They only raise a glass when there is a celebration of special occasion such as getting a new job, a new car, et cetera. When drinking, Russians like to have a particularly lengthy toast. If you have a drink with Russians, make sure to train on how to raise a hand for a very long time beforehand. Because, one cannot simply lower the hand before the speaker says so. In some other countries, it is perfectly fine to take a drink and put it back on the table half-full. However, you cannot do it in Russia. Why? Because Russians will think that you disagree with the person who offers the toast. Russians always check their dirty shoes at the doorway and look for the slippers−in Russia, they are called tapochki−they can wear throughout the house. 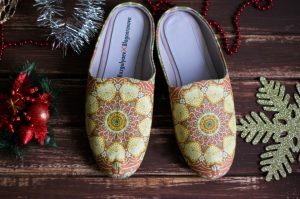 They also keep extra pairs of slipper for guests to wear when they pay a visit. There is a little to no tolerance upon it, even walking around in socks is−more often than not−unacceptable. When it comes to home parties, the guests are expected to bring extra pair of heels or shoes for inside use. This tradition has been going on for centuries and the reasons why Russians wear slippers at home are quite reasonable. The unrivaled quality of Soviet-era cartoons justly continues to draw the admiration of animation buffs around the world. The most interesting part is that Russian adults’ love for Soviet-era cartoons seems to know no bound. It is not just a matter of enjoyment. It is about reminiscing the good old time. It is about satisfying their longing for Soviet Union. They claim that Soviet-era cartoons nurture moral values and help make them kinder people. Even Russian officials are now calling on everyone to enjoy Soviet-era cartoons more than Western television shows. Paratroopers’ day is celebrated every August 2nd. It is an annual occasion where people who have served as military parachutists have a special privilege to let their hair down in public. They can have more fun than usual such as drinking, having celebration party or swimming in a fountain. What? Swimming in a fountain? Yes, you read it right. Swimming in a fountain with clothes on is considered as normal activity on Paratroopers’ day. Russian blue berets troopers−both servicemen and veterans−wrestle and playfully attack each other in the mountain during celebration to adhere to the tradition. It is very important to not show up empty-handed when you visit a house of Russian. The host may be offended. It is only polite to bring a gift with you, because the host has likely prepared an appetizing meal to keep you comfortable at their place. So, you are pleased to arrive with empty stomach, but not empty hands. The gift does not have to be expensive, though. Because what they value is the time you spent selecting the gift, not the gift itself. Russian New Year has that carnivalesque frenzy like no other. It is because their celebration is a good combination of New Year, Christmas, and Winter Solstice traditions. They also believe in traditional belief of having to cleanse and purify their souls before New Year, in order to start the upcoming year in a clean slate. Thus, they usually end up going to banya or Russian sauna on December 31st. Is it customary to leave a food on a plate? The answer is yes. However, from a Russian perspective, when they offer you a plate of food, it is very important for you to finish it. If not, they will see you as disrespectful or even rude. It is related to the feeling of regret for having wasted something. Have you ever wondered why Russian women always get all dolled up even on an ordinary day? It is quite normal for them to dress up fancily for any occasion outside their homes, even if it is just walking a dog or shopping for grocery. It is also quite normal for them to wear high heels and a lot of make ups on daily basis. They do it to stand out amongst their peers so that they can impress the good single men. Russia had a natural deficit of men since a lot of men died in WWII and Stalin’s purges. Thus, the competition to get a man is super tense, hence the desire to stand out.